Your favorite color might have been purple when you were in the second grade. But does that mean it should be the dominant hue on the biggest day of your life? Maybe—or maybe not. To be sure, picking your wedding colors can be a surprising challenge. Do you go traditional with blush pinks and gold, or do you shake things up with a daring turquoise or unorthodox apricot? Trying to whittle down the seemingly endless choices can start to feel overwhelming fast. Adding to that stress is the fact that every wedding-planning decision that follows—from your flower arrangements and place settings to your invitations and wedding-party attire—will incorporate these shades. Before you fall into a spiral of Pantone-chip panic and start losing sleep over whether that shade of navy really is different than the others, consider these six tips. They'll help you narrow down the vast array of options and settle on a pleasing palette that reflects your personal style. Your venue plays a big part in determining your dress code, centerpieces, and décor—and it’s also the best place to start when considering your color wheel.Take cues from the existing décor of the space to narrow down the spectrum of color combinations: If bold patterns are part of the setting, stick with a complementary palette or something neutral to avoid a clash of colors. 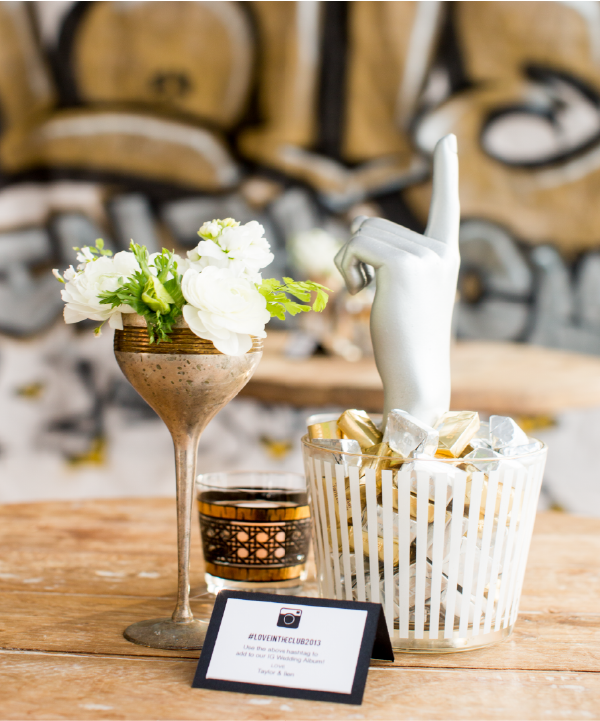 Alternatively, if your venue is more of a blank slate—like a rustic barn or sleek industrial loft—a vibrant color palette that plays off of your favorite design details can bring the subtle space to life. Just like wearing white after Labor Day, the old rule that icy blues are for winter weddings and blush pinks are for summer weddings has largely gone by the wayside. 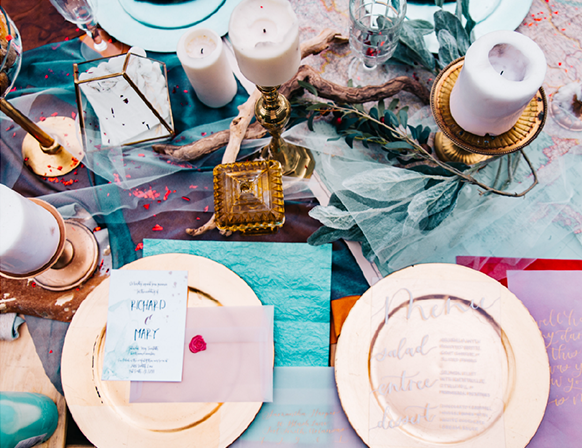 That said, incorporating the colors of the season into your wedding—especially if you’re planning an outdoor event—can help narrow down the options, and provide an easy way to anchor your color scheme. 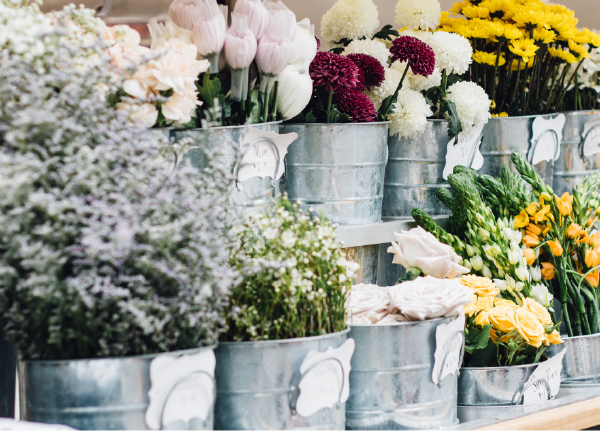 Seasonal details, like fresh blooms for your centerpieces, can help create a more cohesive setting for your big day: Think dahlias and lilies in the fall, and sunflowers and chrysanthemums in the summer. Looking to nature is a surefire way to create a color combination that will feel fresh, fitting, and of-the-moment. The power of color over our moods, appetites, and energy levels is undeniable—so making sure your wedding colors convey the theme you want is imperative. Going for a polished and refined look? Creamy beiges and dark hues like navy and burgundy imply a formal affair. But if it's a playful party you’re planning, then a colorful combo of pinks, blues, and metallics may be more up your alley. Your palette can also convey tradition or modernity: Gold with pale pink or navy with silver are tried and true combinations, while less conventional colors like bright orange and aqua communicate a more spirited setting. Have you always dreamed of carrying a lush bouquet of hydrangeas down the aisle? Or maybe it’s important that your grandmother’s vintage table runner be incorporated into your décor. Letting special details guide your color choices can save you hours of wading through a sea of options—and it will ensure that whatever combination you choose is reflective of your own personal style. Still undecided? It’s time to make a mood board. Clip inspiring photos from your favorite magazines—bridal, interior design, fashion, anything!—and bookmark images of color combinations you like online. Once you’ve accumulated a few dozen favorites, take a close look at your collection. What do they all have in common? What elements in each inspire you the most? This will help you narrow down the color combinations that define your wedding style best. The only rule about wedding colors is that there are no rules in wedding colors. Your palette can be as broad or narrow as you like. It can be a collection of hues or contrasting colors—it can even be a single favorite shade. And after you've decided on your palette, there is no rule that requires you to strictly adhere to it. Not every detail has to be that exact shade of rosy pink you chose for your place settings. 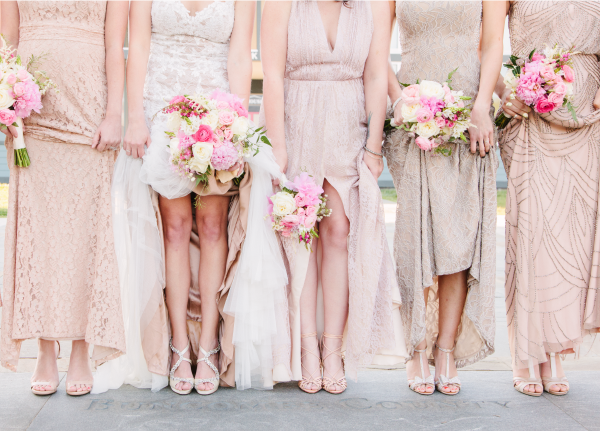 And the bridesmaid dresses don’t have to match the invitations just so. In fact, incorporating various tones of your core colors can even add another level of dimension and intrigue to your day. It will certainly keep things from looking stuffy (or, yikes, like your high school prom).